You know that one song from the 1980s? About walking on sunshine? Well, now is your chance to live that song! Not only will people be able to spot your shoes from space, they won't be able to look away once they do. Yep, astronauts will be up there admiring your footwear. 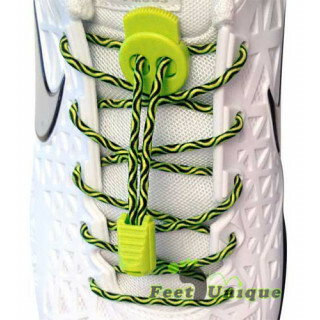 We have every type of laces for every type of shoe for every type of person, but neon yellow shoelaces take a special type of person to wear. It's time to embrace your shininess. 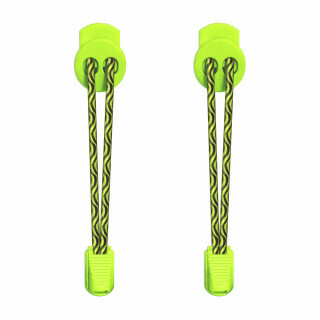 We have the perfect replacement yellow shoelaces for you. How do we know what type of footwear you have, the length you prefer, the width you need, or the style and design you're looking for? We don't! That's why we offer the hugest and best selection. They're a joy to lace up, and an even more fun to look at once they're tied. But not everyone buys them to replace the crappy pair that came in their shoes. 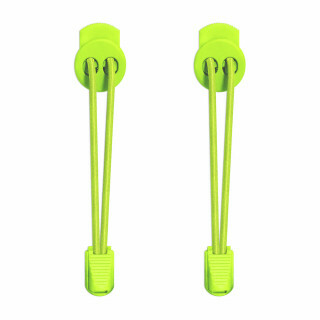 No, some people, our personal favorite customers, get shoelaces to bring up their shoes a notch or ten, and these neon yellow shoelaces crank shoes up to eleven. Stand out while you're standing up, or stick out while you're sitting down. No matter how you're rocking yellow neon shoelaces, the active color speaks a lot louder than…well, any other color, really. We're not yellow-bellied about letting you know that our laces are the brightest stars in the world. 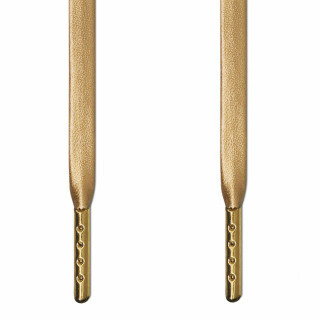 The quality is so high that they'll last forever, and the color will never fade. And those aren't just talking points — you can return your laces for a full refund with absolutely no expiration date. We think our laces may outlast the sun itself, which is set to burn out in about five billion years.